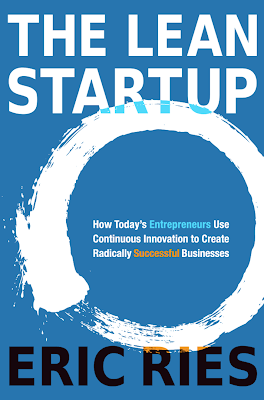 "Buzz buzz buzz" goes the lean startup movement. This ideology, led by Eric Ries, focuses on learning from potential users and iterating through quick builds, and has been in the spotlight recently. I will spend a couple of posts explaining the most important and useful shifts in thinking that could shape your startup. One of the most unique contributions that Ries makes to startup methodology is a flipping of the normal "Build, Measure, Learn" loop. 1. The Traditional Approach - "Push"
Traditional development works in a stream that begins by designing and building products based on a simple idea. The mindset is product focused and pays little attention to customer insights and feedback. Marketing and sales become the only keys to selling and supporting the product. "If we build it, someone can sell it." 2. The Agile Approach - "Build, Measure, Learn"
The Agile/Scrum approach is more iterative and focuses on short one or two week cycles of building. This process allows developers to make decisions earlier about feature development, enhancement, and prioritization based on customer reactions and feedback. The focus here is building an early version of the product and getting it launched as quickly as possible. 3. Lean Startups: "Learn, Measure, Build"
This methodolgy asks the question, "Why build first?" With the tech boom over the past several years and the onslaught of easy capital, people are building great products that no one is interested in using. There are exponentially more failures than there are successes (only 35% of startups survive for more than 10 years). Many write this off as "normal business trends." Of course more will fail than will succeed. But does the difference need to be so huge? Can't we bring the amount of failures down and the amount of successes up? Eric Ries thinks we can by changing the order of the feedback loop. Develop a hypothesis (your product idea and objective). Determine what data needs to be gathered in order to conclude about your hypothesis (customer response to product idea). This is different from traditional market research, because you measure not what customers say but what customers do). Gather data and make conclusions (iterate your product idea and start over with a modified hypothesis or start building). I believe this could be one of the most important trends in startup methodology since Agile development replaced the traditional waterfall approach. Why build a product that people don't want? Eric Ries himself went through the harsh reality of launching a product that he poured sweat and tears into for 6 straight months, only to learn that no one cared for the idea. Sure you've bounced your idea around with your buddies and even possibly talked to some investors who think your idea will rock. But in the end, your investors and your buddies will not be your customers. Zappos is a great example of this lean approach. They first launched a site that allowed customers to order shoes, even though they had no shoe inventory. The orders were then fulfilled by the two founders by simply going to a local mall, buying the shoes, and shipping them to customers. While this wasn't viable long-term, it was an easy and quick way to gauge customer interest in the idea. Once they learned lessons from this exercise, they iterated, built, and continued the process. This shift in thinking is simple, yet invaluable to any startup. Get your idea out there, gauge response, and keep moving. In part 2 of this series, I'll cover what Ries refers to as the "Magic Test", a practical way to measure customer interest in your idea.